Simmons Irrigation Supply, Inc. was founded in September 1946 as Simmons Diesel Company, selling and servicing Frick Sawmill equipment. Located on Highway 15 North in Walterboro, South Carolina, the company had three employees: Marion R. Simmons, Sr., Marion R. Simmons, Jr. (a fighter pilot just out of the Army Air Corps) and a secretary. In the early 1950's, other product lines were added such as McCulloch chain saws, Massey-Ferguson Tractors and various other farm equipment. 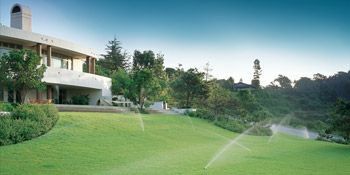 In 1959, Simmons Diesel began installing irrigation systems, primarily on golf courses. By the late 1960's, irrigation contracting was the leading division of the company and the farm related products were phased out. In 1972, the company acquired a Master Turf Distributorship from Rain Bird and began selling as well as installing irrigation products throughout North and South Carolina from its Walterboro location. To address the growth of the landscaping industry, branch offices were established in Hilton Head, SC in 1984, Myrtle Beach, SC in 1985, Charlotte, NC in 1986, Charleston, SC and Wilmington, NC in 1988, Greenville, SC in 1994, Columbia, SC in 1997, Raleigh, NC in 2002, and Savannah, GA in 2008. 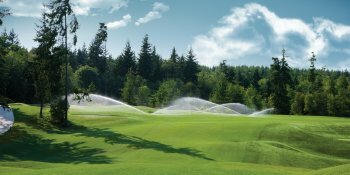 In 1986, Simmons Irrigation Supply, Inc. was named the exclusive Rain Bird Golf Distributor for both Carolinas and the installation division was phased out after having installed over 100 golf course systems since 1959. At the end of 2017, we no longer represent Rain Bird Golf. In January of 2018, Simmons Irrigation Supply was proud to announce the partnership with Hunter Industries as the exclusive Golf Irrigation distributor for South Carolina, North Carolina, and Coastal Georgia. Hunter is a family owned business, with many of the same goals and commitment to excellent customer service as Simmons Irrigation Supply, making it a seamless transition for both companies. 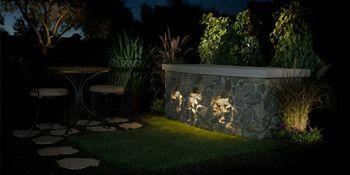 Today, Simmons Irrigation Supply currently sells irrigation, landscape lighting, drainage, and many other landscape supplies throughout our branch operations. The company is currently owned by third generation Marion R. “Spike” Simmons III, as President and CEO, and Marion R. "Rob" Simmons, and managed by Vice President and General Manager Ray E. McLin, Jr.